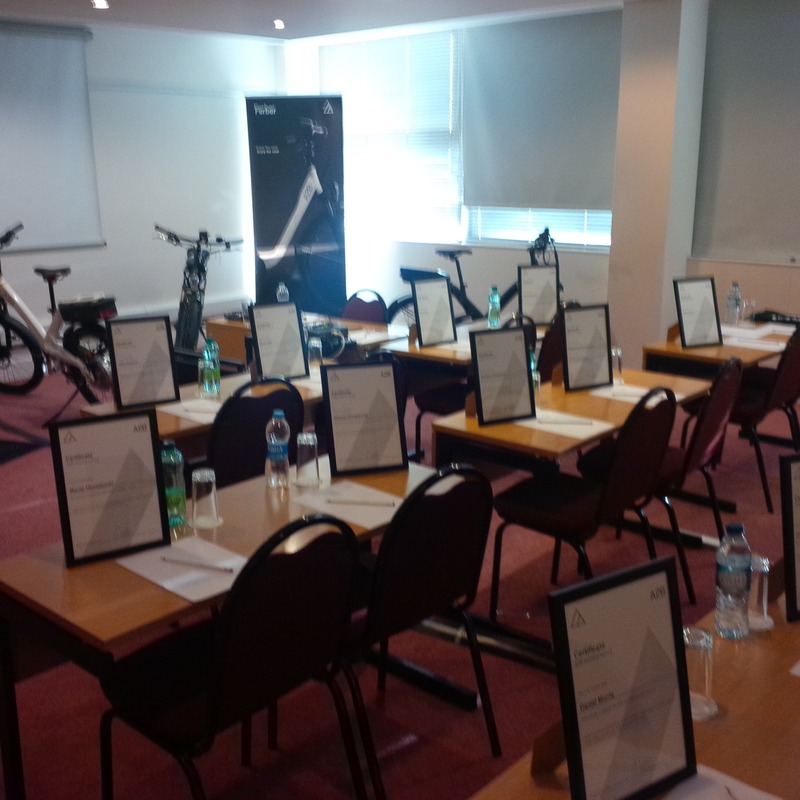 A2B’s Italian, Greek, Irish, Czech, Polish, Romanian and Swedish distributors came to London in March to try out and be trained on the A2B e-bikes – thank you for coming, it was a great and very worthwhile three days. From the very positive feedback we received (thank you! ), you said that the training was really useful, particularly the hands-on sessions, that the knowledge of the trainers was excellent (scoring 9s and 10s), and that it was great to spend time with other distributors and to get to know the A2B team. In future, you told us that you would like even more hands-on training in these sessions so that you get an opportunity to really get to know the bikes, as well as the software, and perhaps for us to give you problems to solve – the best kind of test of knowledge and understanding. You also suggested that technical training should become an annual event, perhaps in different locations. Future training sessions will most definitely take these comments into account. You also wanted all materials to be shared in the distributor’s Dropbox folder – these will be made available shortly. We will also add Fernando’s overview of the current situation and future ambition for A2B then too.